We told regular readers of #TheWhiteRabbit (when on lockdown as a private site) all about THE best crypto-markets, crypto-currencies and digital assets CRYPTO-FUND ICO / ITO opportunity, in our view EVER: THE HOTTEST #ETHEREUM #SMARTCONTRACT #INVESTMENT EVER which we updated with #BLOCKCHAIN DIGITAL ASSET #INVESTING MY CURRENT #PORTFOLIO). We invested YUGE in this Amazing Digital Assets Crypto-Fund with PAYOUTS in ETHEREUM (ETHER/$ETH). This page, is an update, BASED ON REAL rather than projected FIGURES. And my, are you going to like this, one whole lots; GREAT CRYPTO-INVESTMENT; monster ethereum income stream AND United States Dollar (USD) capital growth! Oodles of $ETHER 4 ME :) Now onto TaaS capital appreciation (first three months ONLY). 3081.70 - 1200 = 1881.7 USD Capital Appreciation (if sold right now) on an asset that cost me less than 1200 USD, in just THREE MONTHS folks = x 1.568083333 ... 156% SO FAR; another THREE QUARTERS YET TO GO!! With TaaS Fund adding 25% of it's own profits BACK INTO THE FUND, this is panning out EXACTLY like I hoped it would!! I have swapped BITCOIN (one-time) for an ETHEREUM INCOME STREAM (re-occuring, quarterly) WITH USD CAPITAL GROWTH BUILT-IN! Understand this is about USD and ETHEREUM (not BITCOIN); I invested 1 BTC not to make BTC gains but to obtain an ETHEREUM INCOME and USD CAPITAL GROWTH; and for those two things, it IS working BEAUTIFULLY, in crypto-fund, hands off, no management-time, investing. Why not check out some of the rest of our crypto-currencies, digital assets, crypto-funds and cryptography news articles before you leave, and MISS OUT YUGE (if you missed out on TaaS, you might want to check out BETH in the links below, if you're seeking exposure to AI/Big-Data/Deep Learning/algorithmic crypto-assets/digital token investments, BETH is where it's at, as of a few weeks/a month or two ago! UPDATE: the full TaaS press release and link to the full first quarter official report! 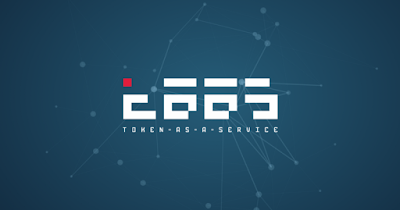 "TaaS becomes first post-ICO blockchain project to provide full transparency and 61% ROI to for the past quarter. Kyiv, Ukraine – August 8, 2017 – Token-as-a-Service (TaaS), the first-ever tokenized closed-end fund dedicated to blockchain assets, announced today a historical moment in the evolution of the new financial instrument called Initial Coin Offering (ICO). TaaS provides payout distribution to over 4,300 token holders. After TaaS has started its trading and contribution activities on April 27th, 2017, the Funs concluded its first quarter with earnings of 4,623,111.61 USD(T). According to TaaS token model, token owners receive 50% of the quarterly earnings. First TaaS token owners’ payouts amount to 0.28USD(T) per 1 TAAS. Payouts were distributed yesterday, on August 7, 2017, in the form of ETH. Previously the Fund announced fixed exchange rate of 199.055 USD(T)/ETH for payouts distribution."